OH this is one of my favorite stamps, Shirley!!! LOve that we've both used it [mine will be revealed later] - great minds? LOve what you've done with it - gorgeous in red! oh wow! This is stunning! I just love the grey along the bottom with that pop of red! I love the way you've inked this - really effective and non-grungey - a very pretty card. Beautiful card Shirley. Love that stamp and the way you colored it. 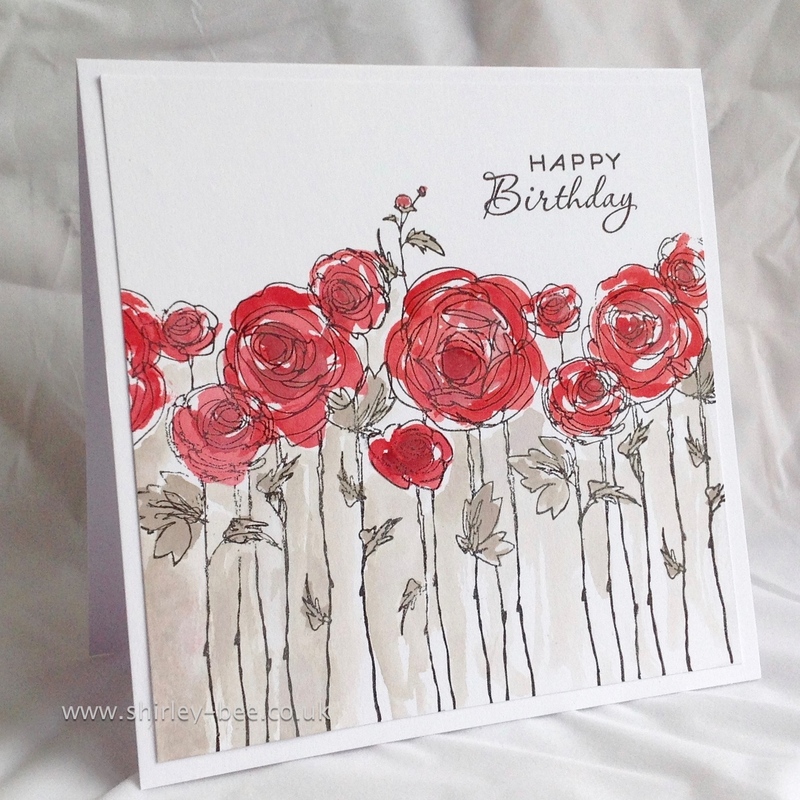 Gorgeous...I'm crushing over that stamp, so a visit to Stampendous is on my radar! Your 'sloshing' of paint is perfection!! I absolutely LOVE your card! This is gorgeous! Love your colouring - the sloshing is perfect. Just beautiful....love your fabulous coloring. This is one of my very favorite cards using this image. Thank you for sharing it.